Generally, if you want to mountain bike at night you need at least 500 lumens on your handlebars and 500 lumens on your helmet. There are many factors which can determine how many lumens you need but this is a good foundation for which to start riding at night. If you only want to have lights on your handlebars then 2000 lumens works very well. When I was riding with this many lumens on my handlebars I felt very comfortable and safe. I could see the path very clearly and the light beam was as wide as the path which was around 8 feet. I was riding around 5 to 10 mph. At this speed it was easy to ride and see everything I needed to see. There were slight curves on the path which I was able to see ahead of time. Being able to see them ahead of time really help you feel confident when riding at night. Riding on a technical trail at night is more challenging so you are going to need a light on your handlebars and a light on your helmet. The light on your handlebars should have at least 1500 lumens and your helmet light should have 800 lumens. 1500 lumens will give you a nice bright white light to light up the path as you go along flat and hilly terrain. 800 lumens will help you to see farther down the trail and prepare you for any up coming turns and or any small obstacles in the path. You can also see any eye level branches which are over the path. Singletrack riding will give you a tight twisty ride. More so at night so you will have to bring your A-game. For your handlebars 1350 lumens works well to light up the single track. Since singletracks are narrower, the light beam does not have to be so wide, just enough so you can see the path ahead of you. Your helmet light should have 700 lumens so you can see more at eye level any twists and turn that are coming up ahead of you. Make sure the handlebar light is turned up slightly so you can see further down the path. 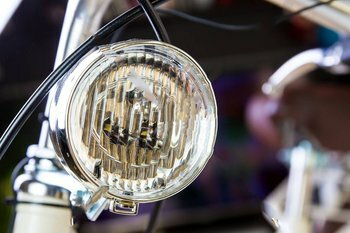 Many riders aim their lights too close to the front wheel. For easy to moderate downhills where you are not going so fast 700 lumens on the handlebars and 700 lumens on the helmet will work. So far you are not going fast enough where you are going to out run your beam. If you are going to go down a steeper quicker downhill trail then set yourself up with a 1000 lumen light for the handlebars. You will be going faster so you do not want to out-run the light beam. Same with the helmet, get a 1000 lumen light to see farther downhill and increase your confidence. Your night vision. How well do you see at night, it is different for each person. Some people become accustomed to night easily, others not as much. Do you have difficulty seeing farther away at night, then you may consider more lumens. What about your peripheral vision, you might want a wider light beam. Riding skills. Are you a beginner, intermediate, or advanced rider. Beginners should consider adding extra 500 lumens just to be safe until you have more experience riding at night. Experienced riders if you are on a budget, you can save money by not getting the extra lumens. Terrain. How familiar are you with the terrain you will be riding on. If you do not know the terrain get extra lumens or ride more slowly your first few times on it. Consider how technical and twisty the trail is. Make sure you can see far enough ahead so you are not surprised by any turns or drops. Speed. Know how fast the trail will be in general and how fast you will probably go. The faster you go the more lumens you will need. When I go from 5 to 15mph, 700 lumens on the handlebars and 800 on the helmet is sufficient for me to see well. When I go faster with those lumens I know right away that I need more because things come up more unexpectedly at those speeds, so then I slow back to 15mph or less. Beam pattern. Consider the trail you will be riding on. You want to make sure your handlebar bike light illuminates at least the full width of the path. Also it should illuminate far enough up the trail for you to see up coming turns, roots, rocks, and hills and drops. Your helmet light should be narrower to see farther up the trail at eye level. Night conditions. Take note of the conditions of the night you will be riding in. Is there a full moon, is there no moon. A full moon with no clouds offers helpful light. If it is cloudy and there is only a sliver of a moon up there it will be very dark. Will you be riding on a trail with a lot of open areas, or on a trail with lots of trees and bushes. What about the season. Late fall and winter will have few to no leaves, so you should be able to see better than if it was spring and summer when trees have all their leaves. Here are 10 different bike lights with 10 different lumen amounts and how long each one lasts. These lights were actually measured, meaning they were turned on and left to keep running until they turned off because the battery died. 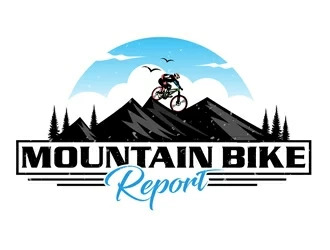 Generally mountain bike lights will last at least 1 hour and a half, and depending on the light can last as long as 3 or more hours. So make sure to check how long the manufacturer says it will last so you have an idea. I say, so you have an idea because overall what the manufacturer says is not entirely accurate. The times above were actual measurements of how long they last. Compared to what the manufacturer said, these lights lasted anywhere from 20 minutes to 60 minutes longer than what the manufacturer claimed. All of the measurements taken above were when the light was functioning on high. So if you use your bike light at medium power which is around 50% less then you should be able to use it 50% longer. So for example the Serfas TSL-1800 which has 1800 lumens will run on high for 1 hour and 45 minutes. Switc.h it to medium so it has 900 lumens and you can use it for another 30 minutes and still have good light. 900 lumens is still above the minimum for many night riding situations. Generally if you choose bike lights which have between 500 and 1800 lumen you will be able to see between 50 feet to 100 feet in front of you. Lumen between 500 and 1000 lumen allow you to see at least 50 feet in front of you. The main difference is how bright the lit up 50 foot area is. The difference between a 1000 lumen 50 foot lit up area and a 750 lumen 50 foot lit up area is the 750 lumen 50 foot lit up area is dimmer than the 1000 lumen lit up area. Mountain bike lights with 1200 to 1800 lumens can easily allow you to see 100 feet in front of you. Again the only difference is how bright or dim the lit up 100 foot area is. Riding at night is challenging and fun, make sure you have a handlebar light and a helmet light. Use the information above as a guide. If you are not sure go with more lumens than you may need. You can always switch to medium power.